I took typing in high school decades ago. At the time, guys did not have to learn to type since this was work for a woman. Yeah, right. Now my six-year-old granddaughter is learning the basics of touch typing. Time flies. Whether you call it typing or keyboarding, the keys have always interested me. A few days ago, my friend and fellow writer in California, Irish Joe (He is from Ireland) sent me a list of interesting facts about words and the typewriter—or keyboard. Stewardess is the longest word typed with only one hand. 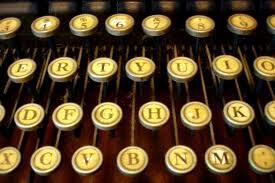 Lollipop is the longest word typed with the right hand. The quick brown fox jumps over the lazy dog is the phrase that uses every letter in the alphabet. I learned this way back at Washington High in typing class. Finally, and maybe ironically, typewriter is the longest word that can be made using the letters in one row on the keyboard. This past summer, my wife and I made a trip to the Rapid City, South Dakota area. We did the normal touristy things like Mt. Rushmore. We also made a stop at Reptile Gardens. Reptile Gardens has a great collection of snakes, bugs, turtles and even prairie dogs. You might think there are poisonous snakes there. You would be wrong. Hold on, don’t cancel next year’s vacation. The problem is that people get the words venomous and poisonous confused. Snakes are venomous, not poisonous. Both venomous and poisonous animals produce a toxin that is injurious or even lethal to another organism. The real difference between the two terms involves how that toxin is delivered. Venomous organisms deliver or inject venom into other organisms, using a specialized apparatus such as a fang or stinger. The venom is produced in a gland attached to this apparatus. On the other hand poisonous organisms don’t deliver their toxins directly. 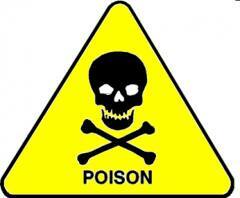 The entire body, or large parts of it, may contain the poisonous substance. These organisms may be harmful when eaten or touched. So, all is well in Rapid City. And now you know the difference between venomous and poisonous.